Republican Centre for Technology Transfer as a co-organizer invites R&D and industry experts, innovation SMEs to participate in the EEN Brokerage Event "Rev3 Days 2019", which will be held in Lille, France, from 5 to 6 February 2019. November 29, 2018 the delegation of the Korea Institute of Science and Technology Information (KISTI) headed by Mr. Park Han Chut, Head of International Cooperation Team, visited the NAS of Belarus. At the meeting with the delegation attended the First Deputy Chairman of the NAS of Belarus Academician Sergei Chizhik, the Director of RCTT Dr. Alexander Uspenskiy etc. There was a discussion of cooperation prospects in the field of technology transfer and technology commercialization. 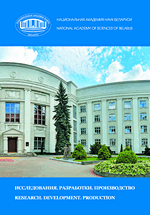 The 96-page publication provides up-to-date information on the achievements and activities of the Academy Departments and organizations of the National Academy of Sciences of Belarus. The electronic version of the publication can be found here. Republican Centre for Technology Transfer as a co-organizer invites R&D and industry experts, innovation SMEs to participate in the EEN Brokerage Event "ICT 2018 Face2Face Brokerage", which will be held in Vienna, Austria from 4 to 6 December 2018. "ICT 2018 Face2Face Brokerage", will be held within the framework of the fair "ICT 2018", which organized by the European Commission's Directorate-General for Communications Networks, Content and Technology in cooperation with the Austrian Presidency, is specifically dedicated to networking and promoting research and innovation in the field of Information and Communication Technologies. The event will focus on the Horizon 2020 Work Programme 2018-20, including ICT calls across all three pillars of Horizon 2020. On November 26, 2018 the delegation of the High-tech Industry Pilot Base of Shandong Academy of Sciences (China), headed by the Deputy Director of the Pilot Base, Professor Sun Changgao, visited RCTT. The purpose of the visit - to deepen partner and business relationships. Director of RCTT Dr. Alexander Uspenskiy and Professor Sun Changgao discussed the state and prospects of cooperation in the field of technology transfer and commercialization and signed an Agreement to improve the activities of the Technology Transfer Center of the National Academy of Sciences of Belarus in Jinan (founded by the NAS of Belarus and the Shandong Academy of Sciences in 2007). The signed Agreement is aimed at promoting the implementation of the concept “One Belt, One Way” by the creation of the “Pilot Research Platform of Belarus in Jinan” and joint research laboratories. 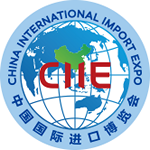 From 5 to 10 November 2018, the delegation of the National Academy of Sciences of Belarus, headed by the Deputy Chairman of the Presidium of the National Academy of Sciences of Belarus Academician Aliaxandr Sukalo participated the first China International Import Expo (5 – 10 November 2018, China, Shanghai). - Institute of Philosophy (Nadzeya Ilyushenka). A Belarusian private IT company offers its product engineering services and solutions based on own developed technology with fog/edge computing. The technology reduces the development time of automotive and industrial smart sensors and meters, intellectual GPS trackers, telematics gateways and Internet of Things devices. The company is looking to expand into new markets under the terms of license, outsourcing or subcontracting agreement. Products developed by the company on own developed technology with fog/edge computing are sold be partners in 150+ countries worldwide.